This post may contain affiliate links. All opinions are my own and I do not endorse products that I do not believe in or have tried myself. My business is making multiple six figures and most of it comes from e-commerce sales of my handmade goods. Can you imagine what my supply expenses looks like? I spend 5 figures in the year for supplies alone and a good portion of it goes to shipping and packaging supplies. You can bet that I spent hours researching the best shipping & packaging materials and ones that will save me some money. Even when I am happy with how much I brought down my cost, I later find another source that provides me the same quality but better price! Don't forget to check out my blog post about how one of my members followed my exact strategies and made six figures as well!! Just note, not all of these resources I'm linking to have to be purchased in large quantities to get a nice price discount. I, on the other hand, need to buy super large quantities because i go through them like water. But if you are newer to selling and don't want to invest in a lot of shipping supplies, a lot of these resources would be perfect for you! These are perfect to fit your 8x10 prints. Best part of all? They are the BEST PRICE I could find online. At the time of writing this post, the price is at $.29 cents per flat mailer - and that's with free shipping! They are sturdy and for the price, you can't beat it! Just like the ones I described above but larger to fit your 11 x 14 art prints. I got these from clear bags and these come in an assorted color and they are the best price around! They work out to be about $.14 cents each! I use them to put into the flat mailers above so the prints don't get bent during shipping- works like a charm! I also get these from clear bags and I use them to prevent my 11x14 prints from bending during shipping. They work out to be around $.33 cents each. They are seriously the best price I can find for them. These bubble mailers are standard size for a lot of products and I LOVE them in white. It took me a while to find the white ones that are paper material on the outside because I didn't like that plastic look. The best part is that I found these at a GREAT price for $.13 each! You can find the yellow bubble mailers for a bit cheaper for $.10 cents each, over here. If you need larger bubble mailers, these are the ones I use. They are yellow and fit my larger stationery items. They work out to be around $.27 cents each! Definitely worth giving a try if you need a larger bubble envelope. These are the labels I use for my Dymo 4XL printer. I use these because they are the special type that work with a thermal based printer such as the Dymo 4XL AND because they are the best price I found them. At the time of writing this blog post, they are $.03 cents per label! Tack on the price of NO ink costs, you have yourself a 3 cent label - hurray!! Because I print so many orders, I usually opt to buy the larger quantity of labels which saves me some extra money. I know it's only pennies per label, but when printing thousands of labels, it adds up. So if you handle a large amount of orders, consider getting the 10 rolls or the 20 rolls. I don't use packaging tape too often because most of my package types are self-seal. When sending larger packages that require tape, this is certainly the best choice. There isn't a great deal of benefits to go over only because it's packaging tape! I can tell you that it sticks on very well and the price is AMAZING. I get the set of 6 rolls right here. I use this to stuff my larger boxes. I use white because it's part of my branding and looks great. For lighter items, I would definitely recommend using crinkle paper. However, if you are looking at heavier items, I would suggest bubble wrap or packing peanuts. I also found the same crinkle paper in kraft and blue (and they are better prices than the white!). As always, I couldn't find a better price on them except over here. If you don't want to commit to 40lbs worth of crinkle paper, get the 10lb here. The United States Postal Service is a great resource for FREE postal supplies. I personally get the small flat rate boxes, the flat rate padded envelopes, the flat rate medium and large boxes. When a customer pay to have their item shipped via priority, I immediately use one of their boxes to save me some money. PLUS I love how the boxes make it evident that it's a priority shipment so the mailman doesn't get it lost in the crowd. Get yourself a variety of boxes depending on what you sell and keep it just in case your need to send a shipment priority. I found the cheapest (best price) bubble wrap to be at my local shipping supply store (I think because it saves on the shipping costs). However, when I did further research on Amazon, I found some right here. With the items that are Prime, you may get a better deal than local places! Just be sure to check local places first before you purchase online. Depending on what you package, you may need the smaller bubbles or the larger bubbles to protect your items so do the appropriate research as to what items ship safer with which type of bubble wrap. Other shipping supplies: Ok, here is the scoop, I find that the best places for shipping supplies are from Value Mailers. They offer great prices and FREE shipping. However, I recommend you find what you need on the Value Mailers website and then try to search for it on Amazon.com. I find that a lot of the time, you will find things a little bit cheaper on Amazon.com even though it is from the exact same company! Do you wonder what happens after 200? So did I! So I called Value Mailers and simply told them that I was interested in purchasing a larger quantity than they have on their website and was inquiring to see if they offer a larger price break if I purchased a larger quantity. They asked me the quantity, I told them and BOOM! moments later, I saved $197 - seriously awesome! Moral of the story, don't be scared to call all your suppliers (or message them if they have no number) and ask for quantity discounts. Buy in bulk - duh! Here is the thing, a lot of the time we can't possibly fathom that we will be using up 5,000 bubble envelopes, but if you are a business that brings in a lot of orders, can you see yourself using that up in 6 months? If the answer is yes, then consider buying in bulk and storing it somewhere safe. Good rule of thumb when buying in bulk is to buy enough for 3-6 months. If you never purchased in bulk before then just buy enough to last you for 3 months so you can get used to it. The obvious choice seems to be Amazon.com right? You want to continue to the checkout process and see the added shipping cost that is tacked on. After you add in the shipping costs, then do your math. Value Mailers is the clear winner! You get it right? 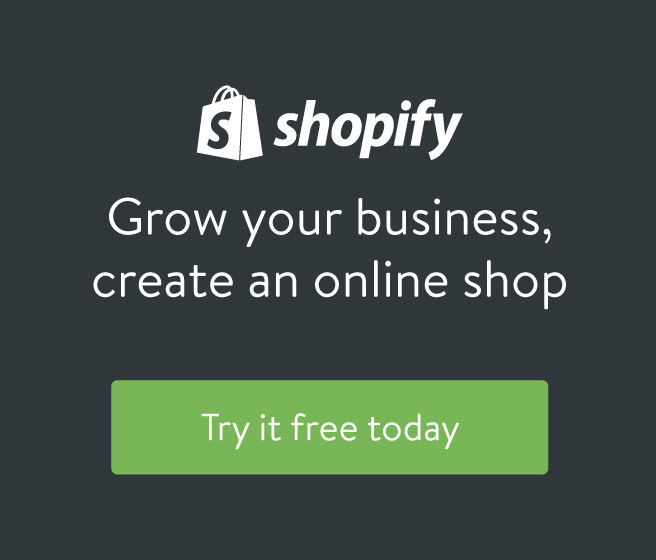 Do the math with shipping before making a decision. 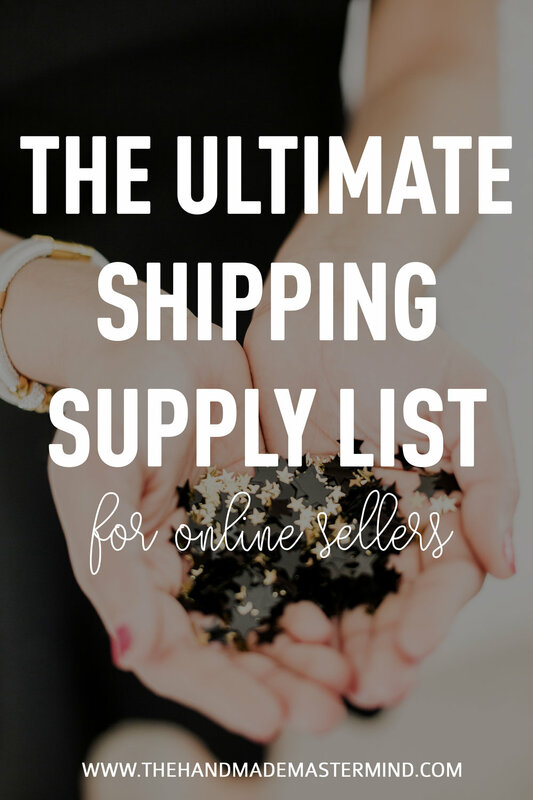 Got any shipping supplies you think need to be on this list? Let me know below! Below are my top 8 must haves for a home office/online business.